All fields are required. Payment is due at time of registration. Payments are processed online via PayPal. 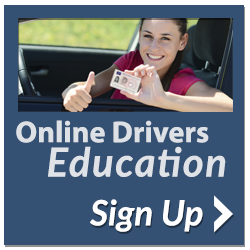 Includes classroom instruction, behind the wheel, and written permit test. Does not include any classroom instruction or course materials. Please enter the code below into the box provided. We are pleased to announce that we have two locations! The new office is a testing only facility and is conveniently located behind the 7-11, in the same parking lot as the DMV. Main cross streets are Union and Jackson. 2403 N Union Blvd Ste 102.